As a Wimco villa specialist whose primary focus has been on St. Barts, when approached about the opportunity to inspect villas in the Turks & Caicos islands I jumped at the opportunity to add this beautiful island to my repertoire. 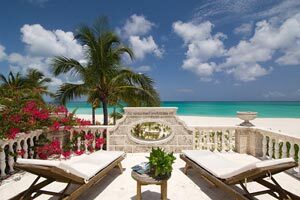 This would be my very first trip to The Turks and my knowledge of the Island was primarily based on conversations with other villa specialists here in the office and from looking at many pictures online of expansive beaches and unreal turquoise waters. Because I have been to St. Barts countless times in recent years it was impossible not to compare the two destinations. I love St Barts, and expected not to like the Turcks as much, but let me tell you, there is a lot to like here! I hope that my SBH regulars when looking for a vacation spot with great beaches and direct flights will now consider a vacation rental with Wimco in The Turks. 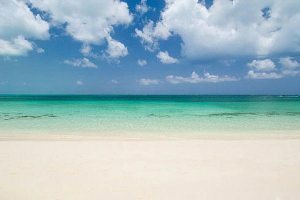 Over the years I have sent a few of my St. Barts clients to the Turks and Caicos islands who were looking to try something new and different. The positive reviews I received from these clients who had vacationed in both St. Barts and the Turks surprised me. I was so used to clients telling me that they have found the ideal island in St. Barts, and why would they go anywhere else. Then when they finally ventured over to the Turks they came back gushing about the turquoise colored waters, the miles of white sand beaches, the variety of restaurants, and the laid back vibe. Over the past week, I have learned that although The Turks falls short in a few minor areas when compared to St Barts, it does in fact excel in others. The photos of the beaches and the turquoise waters are real, the people of The Turks are friendly and outgoing, and the variety of villas we have to offer is excellent. I had a great time, and will now recommend The Turks without hesitation. 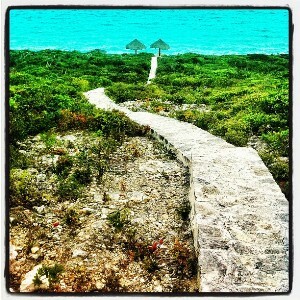 The next time I speak with a client who is looking to have a beachfront villa, Turks will be my go-to recommendation. Other than having some of the best beaches I have ever seen, what sets The Turks apart is the fact that there are direct flights from many US airports, and the depth of variety of villas for every style and budget. The Turks is an excellent family destination. I have heard many times that getting to St Barts can be an ordeal (although worth it to most) with young children. The Turks has direct flights and a multitude of family friendly beachfront vacation rentals and tons of kid friendly activities. Like most Caribbean Islands, The Turks have excellent snorkeling, sailing, golf and tennis, but in my estimation, the activity which sets it apart is the fishing. The Turks has some of the best fishing in the Caribbean. Not only are there numerous deep sea charters available, but you can also try your hand at some of the best bone fishing in the world. While I was doing a site inspection at The Regent Palms, I spoke with a guest who had literally just returned from a bone fishing trip. He had such a big smile on his face, I had to hear his “fish story”. He said that he was reeling in a fish with almost every cast and when there was not a fish on the end of the line he looked would look at the fly with confusion. Although some of the best meals I had in The Turks were at our villa and prepared by private chef, my favorite meals were at two local restaurants, Coyaba and The Beach House. Of all the meals I had in the Turks, none of them were sub par but in the same respect, there was nothing on the level of the dining options in St. Barts. I will say that I had some of the best conch ever in The Turks. For vacationers looking for an upscale hotel experience, The Turks has it all and the properties rival anything in St Barts. For vacationers looking for a villa rental experience with access to hotel amenities (something I hear quite often as of late), The Turks has villas at Amanyara and Parrot Cay which are right up there at the top of my list with regards to overall quality, beauty, and level of service. The fact that The Turks has a few big resort hotels and is easy to get to for most people is something that I originally thought would detract a bit from the Island’s charm, as it is a polar opposite of what I am used to in St Barts. This was not the case. The people who vacation in all inclusive resorts such as Beaches, pretty much stay within the confines of those properties and their presence is not felt outside its walls. 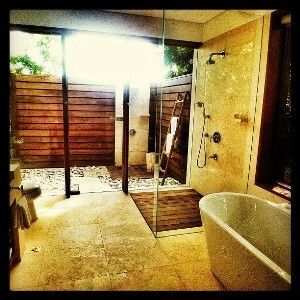 Of the 40+ villas visited in The Turks, there were a few which stood out as my personal favorites. Please enjoy the photos below from my trip. To browse more photos from my trip, you can follow me on instagram by searching my page @SBHben or search #wimco on Vine for videos. I look forward to sharing more of my thoughts with you personally and more in depth when you are ready to start planning your next trip to The Islands.